10 Movies To Watch This Christmas! Christmas is a time for family, friends food... and films! There are, of course, a huge variety of festive movies to choose from (of varying quality and sugar content). However, some are true Christmas classics - films that become as much of a seasonal tradition as fairy lights and mince pies. Personally, I like my Christmas film viewing experience to include a number of different genres - including comedy, action, horror, animation and romance. 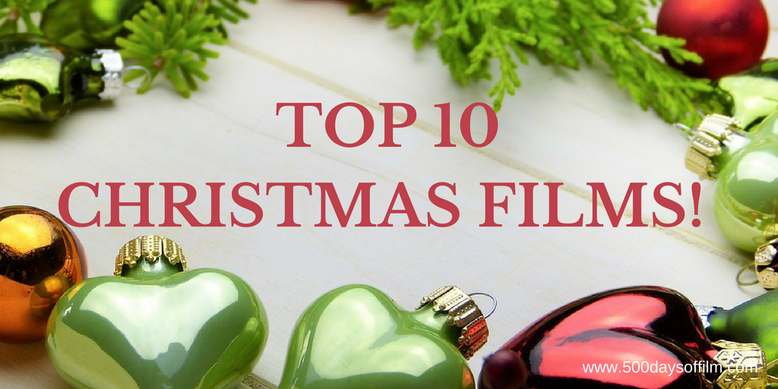 As a result, all categories are covered here in my top ten favourite Christmas movies! Billy Bob Thornton is brilliant in this film about an alcoholic department store Santa. Definitely not one for family viewing, Bad Santa is, however, the perfect choice if you fancy an adult black comedy and an alternative, less saccharine Christmas story. I love Arthur Christmas more and more. This is a charming tale and fun for all the family (as we have come to expect from Ardman Animation). The film features a wonderful (and hilarious) script and a particularly brilliant (voice) performance from Bill Nighy. Another film the kids need to avoid, Rare Exports explores what would happen if the real Santa was not so kind and cuddly? What would happen if, instead, he was a scary, child stealing, reindeer slaying murderer? Well, you'll just have to watch Rare Exports to find out! Without fail, this film makes me laugh all the way through and then moves me to tears. I can’t think of Fezziwig without thinking of Fozzie Bear and Michael Caine is brilliant as Scrooge. The Muppet Christmas Carol also features the most gorgeous Christmas song - It Feels Like Christmas. Light the lamp not the rat! Hello Bill Nighy again! I always start Richard Curtis's movie expecting a sugary feel good film and am then floored by Emma Thompson's utterly heartbreaking performance. Love Actually is a Christmas tradition I wouldn't be without. Miracle On 34th Street is another classic in my book. I just love this movie and the message it delivers: you are never too old to be a part of the magic of Christmas. Phew! I love both the original 1947 version and 1994's remake with Richard Attenborough. Home Alone is pure Christmas fun. This timeless movie classic emphasises the importance of family during the festive season. It also features a wonderful performance from the brilliant John Candy. And who could resist Kevin’s ingenuity? Those broken baubles get me every time... yikes that’s gotta hurt! Christmas isn't Christmas without John McClane. Bruce Willis is superb in Die Hard and, after a barrel load of non-stop action, the film finishes with lots of feel good Christmas spirit. I just love this movie from start to finish. Now I have a machine gun. Ho. Ho. Ho. Elf will always have a special place in my heart. Will Ferrell is just so endearing as over-sized elf, Buddy, and I also love Zooey Deschanel in this movie. Whenever I watch Elf, I laugh all the way through and am left feeling super Christmassy afterwards. Perfect. Of course! The number one spot on this list could only be filled by It’s A Wonderful Life. If you want a feel good Christmas film you need look no further. Plus it has the wonderful James Stewart - what more could you possibly want? Well there you have it, my top 10 favourite Christmas movies. What do you think of my list? What film would you add? I’d love to know. Just leave me a comment in the box below.